It’s no wonder why our beautiful city is on every international traveler’s bucket list. 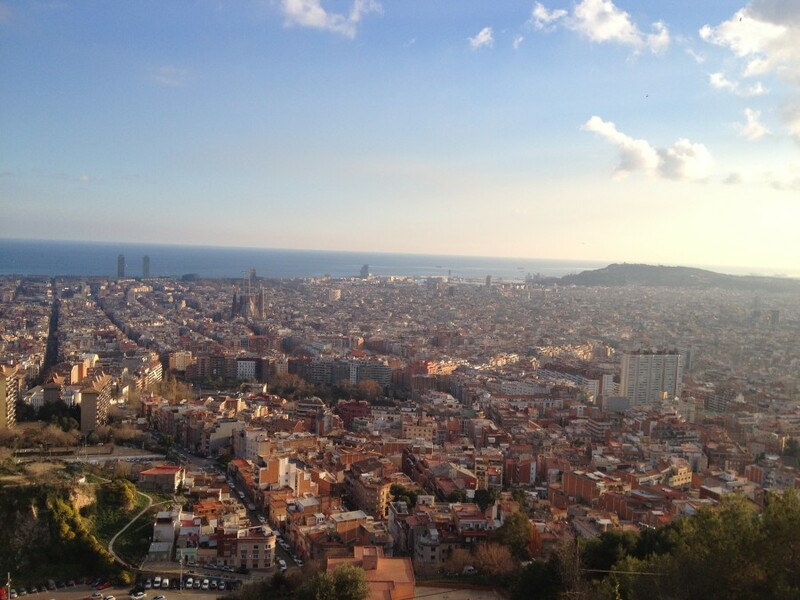 There are so many things to do in Barcelona! Its numerous historic attractions, beautiful parks, and bustling city shops create the perfect atmosphere for an exciting vacation. To ensure that you get the most out of your vacation in Barcelona, we at bizFlats have compiled a list of the most fantastic activities and fun things to do in Barcelona, Spain! Barcelona’s Magic Fountain of Montjuïc has earned its name after a century of virtually uninterrupted, crowd-pleasing performances in the heart of one of the world’s most beautiful cities. The fountain’s waters are known to jump and dance in a rainbow of colors and to a diversity of melodies and pictures. The performances have earned a genre all their own and are now called water acrobatics, and considered one of the best things to do in Barcelona in June. 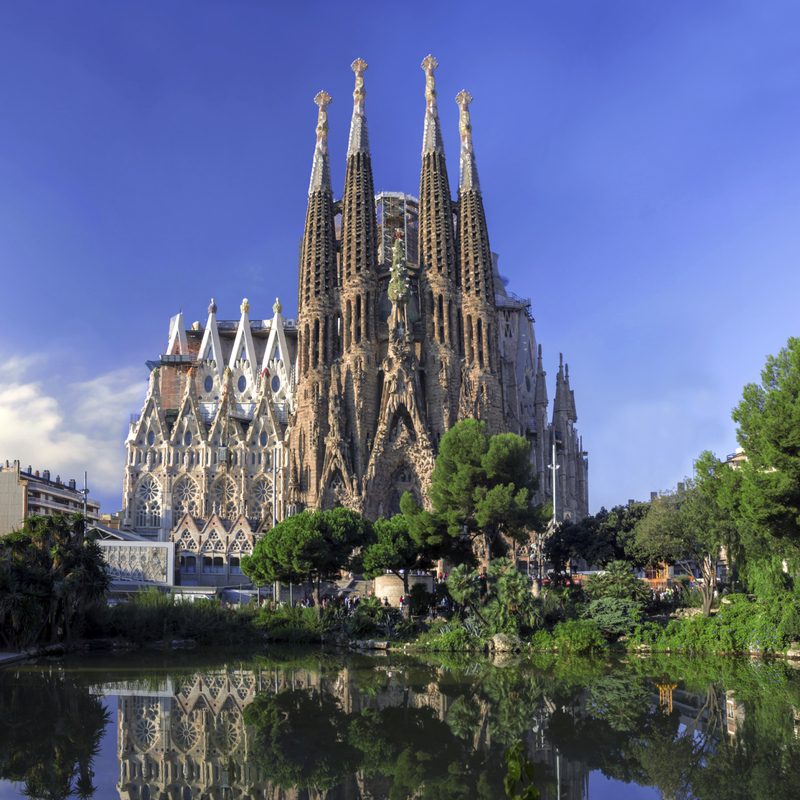 Located in the heart of Barcelona, La Sagrada Familia Basilica is a monument to Catalan culture dating back to 1882. Embracing the city and nation’s deep roots in Catholicism and talent in both design and architecture, this World Heritage Site is a beautiful and breathtaking symbol of both national and local identity. Although it is not finished, the ongoing project surrounding the Basilica’s creation is part of its intrigue and beauty. Wondering, why was La Sagrada Familia built, or when will La Sagrada Familia be finished? Read on to learn more! In the heart of downtown Barcelona you’ll find the Palace of Catalan Music, which is just as much an historical institution as it is a center for the arts. Featuring world-renown art in both performance arts and in fine arts, this is certainly a stop worth making on your trip to Barcelona. Whether you’re seeing a performance, taking a tour, or just walking by you won’t be disappointed that you visited that Palace. You won’t just get lost in the history of the Barcelona Gothic Quarter but also in the amazing variety of things to do in this corner of the city that is among the most visited places by tourists and residents alike. With its labyrinthine streets, it’s best to pay extra close attention to your surroundings as it’s common to literally get lost in the area. Along with beautiful squares that make for the perfect place to relax for an afternoon with a bottle of wine or a good book, there are numerous great boutiques for shopping, a grand cathedral, and a lively nightlife. During your next visit to Barcelona, be sure to take a walking tour though the Gothic Quarter! Among the city’s many cultural attractions in Barcelona is the famous Pablo Picasso Museum, housing a sizeable collection of the Spanish artist’s lifeworks. If you’re an art enthusiast or at all interested in the life and works of Picasso, this museum is central to understanding his career and the extensiveness of his talent. Located on the Carrer de Montcada, the city’s most important stretch of mediaeval architecture, the Pablo Picasso Museum Barcelona building is a site to see in itself. The Barcelona Ramblas is the most famous street in the whole city. Stretching for 1.2 kilometers through its midst, this street has been a central meeting place for residents since the 18th century. Originally situated outside the walls of the medieval city, Barcelona Ramblas was once the site of a flowing river. In fact, the word ramblas originates from the Arabic word ramla, meaning a sandy riverbed. When the walls came down and the river dried up, sometime around 1766, covenants, monasteries, and a university were built along this new city limit. If you’ve ever happened upon Barcelona during a football match then you may have been surprised to see the red and blue streets filled with ecstatic fans cheering as if their very lives depended on victory. Catalonians couldn’t be prouder of their all-star team now sporting football heroes such as Lionel Messi, an idol of many Spanish youths, and soccer players around the world. Camp Nou was the team’s very first stadium in its inaugural year of 1957, carrying some of the team’s richest history in its bleachers as well as on the turf. Soccer fan or not, taking a tour of Camp Nou will provide a lot of insight into the heart of Catalan culture. Located in the center of Barcelona, the Poble Espanyol de Montjuïc is Barcelona’s intriguing open-air architectural museum. Whether you want to take a tour, attend a special event or class or just wander its old streets and buildings for hours and maybe enjoy some delicious food and drink, a trip to Montjuïc is well worth it. It’s also not much of a trip since it is so centrally located, accessible by public transportation or even by foot or bicycle if you so desire. Enjoy the beautiful Mediterranean climate in the midst of Spain’s most famous architecture all within a few blocks of breathtaking buildings and alluring alleyways. Exploring the cathedrals in Barcelona is one of the best ways for visitors to learn about the city’s history and architecture. With deep catholic roots, there is much to learn about Barcelona’s long heritage reaching back to medieval times by exploring the city’s many cathedrals and other holy places. Music is central to the experience, which you’ll discover as you tour the cathedrals in Barcelona and see or hear their enormous organs and perhaps even their majestic choirs. Another key characteristic to a cathedral is that they are the seat of a bishop, making it the central church of the diocese. Though Barcelona has always been on the shores of the Mediterranean Sea, it wasn’t always known for its lively beach culture. The beaches in Barcelona used to be almost entirely industrial space so they weren’t the most inviting destinations. As the city prepared to host the 1992 Summer Olympics, the governing powers began to reconsider Barcelona’s identity as a Mediterranean cultural center and decided to start cleaning up its beaches. Barcelona has since been known as one of Europe’s most recommended beach destinations where turquoise waters and white sand rub up against an epicenter of culture, history, and architectural beauty. With a climate as mild as on the Mediterranean, the beaches are beautiful year-round, though visiting the beaches here is one of the best things to do in Barcelona in July! A list of the top 10 things to do in Barcelona barely scratches the surface of all the amazing reasons to visit our great city! Are you still wondering what to do in Barcelona? As locals, our list of favorite things to do here is quite long! Barcelona restaurants are an attraction in and of themselves! Catalonian food is world renowned, and a visit to Barcelona and Catalonia in general wouldn’t be complete without enjoying as many fantastic restaurants as possible. There are plenty of romantic restaurants as well as amazing tapas restaurants in Barcelona to choose from. The Gran Teatre del Liceu is not only Barcelona’s premier opera house, but a historical institution founded on La Rambla in 1847. It is a symbol of the city’s diverse arts culture. Visiting the Teatre on La Rambla would be a great night out in Barcelona, is a favorite among locals and visitors alike. A nice meander down the tree-lined, open air mall, and maybe a meal or cappuccino at one of the outdoor cafes would be a great precursor or finish to a show. This outing in the heart of Barcelona will be all but disappointing whether it’s your first time in Barcelona, or you’re just looking for something new to try in this wonderful city. Montserrat’s serene setting continues to attract not just spiritual pilgrims, but also naturalists and those in need of some time in mountains. This destination soaring above the Barcelona skyline, whose name means “sawn mountain”, makes not only for an incredibly unique horizon, but also a convenient natural retreat for locals and visitors alike. Whether you’re heading on your day trip to Monsterrat to visit the monastery, the museum or for an event, give yourself some time to explore one of the numerous hiking trails on the mountain. No matter your timing or fitness level there are varying degrees of difficulty to choose from, all offering breathtaking views and the peace and quiet unique to mountaintops. Taking a hike is one of the best things to do near Barcelona in the summer, especially in July or August. Nearly bordering the city, Serra de Collserola natural park is a wonderful place to enjoy the wild beauty that surrounds Barcelona. From the sea to the mountains, this Catalonian city is not just a dream destination for urban junkies, but outdoorsy types as well, with everything from boating, mountain climbing, and cycling to participate in. Tours leave from downtown Barcelona daily to take groups exploring the area’s natural heritage. Whether you’re a road cyclist or a mountain biker, you’ll find the perfect routes at Serra de Collserola to explore. The views are spectacular and the terrain can be as challenging or laid-back as you’re looking for, with plenty of places to stop for bathrooms, food and drink along the way. Located on Montjuïc Mountain where there is an overwhelming number of fantastic things to see and do, the National of Museum of Catalan Art captures the spirit of this unique region within Spain. While this is a place for art enthusiasts and certainly artists themselves, it is also a wonderful place for leisure and reflection, as its location offers a unique vantage point from which to see both city and yourself. 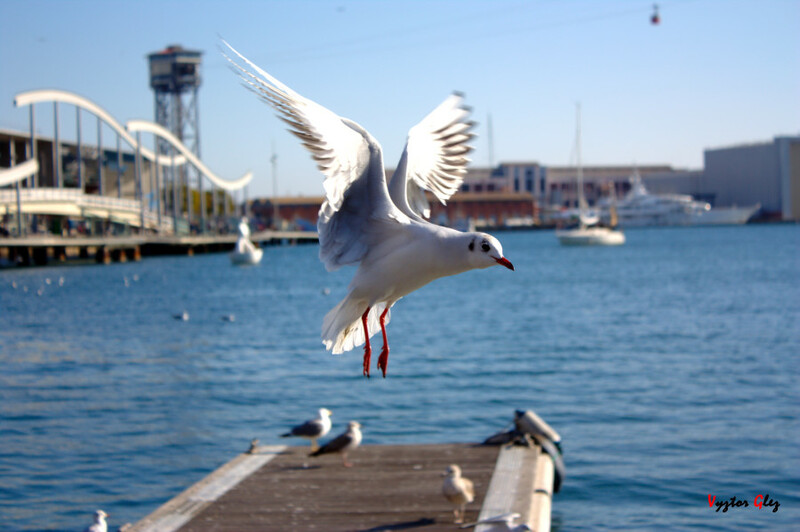 Enjoy the art collection as well as the bird’s eye view of the city while you explore one of the Barcelona’s best art collections. Of the 450 different species living in harmony at l’Aquàrium de Barcelona, the sharks are by far the most popular, with many different activities to wow the crowds with their beauty and ferocity. This is the largest Mediterranean-themed aquarium in the world, meaning that the variety of sharks who call it home are all from the waters that surround the Barcelona Marina. Its six million liters of water are home to 11,000 different organism, all living happily with the sharks who also welcome divers and observers of all kinds. While reportedly a dangerous species, at l’Aquarium de Barcelona you’ll learn what they truly are. Visiting the aquarium is one of the best things to do in Barcelona with kids. Barcelona has long had a celebrated community of the arts, from incredible design and architecture throughout the city, to painters and sculptors like the amazing Joan Mirò, a Barcelona native known for his rebellious surrealism. If you have yet to visit the Joan Mirò Museum in Parc to Montjuïc in the heart of the city, it is well worth the trip and is easy to reach by public transportation or even on foot depending where you are staying when you visit. You won’t run out of great things to do and places to see in Barcelona though you may find yourself seeking some outdoor adventure to break up your urban exploring. While Barcelona is at the heart of Catalonia, the majority of this unique Spanish region is surrounded by beautiful mountainous country for hikes, backpacking, or rock climbing. If you’re interested in doing some hiking in Barcelona while visiting, there are plenty of options. Whether you’re inclined to grabbing a map and exploring the country on your own or would prefer to take a group tour, the experience will be breathtaking as well as enlightening as you begin to understand the Catalonian culture from a larger vantage. It’s one of the most fun things to do in Barcelona, Spain! A trip to our fantastic city would be incomplete without a visit to at least one of these Barcelona, Spain points of interest. Explore this city’s vast history, culture and ascetic beauty from your home base at a great short term rental in the heart of Barcelona. 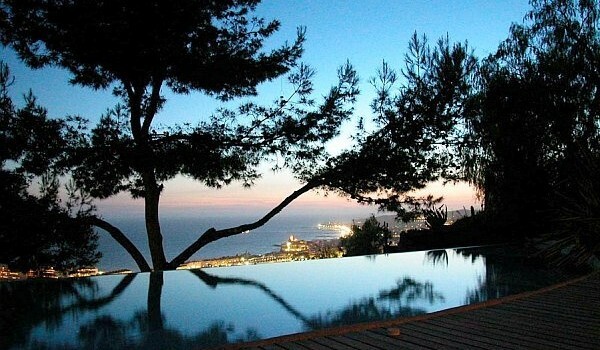 Our vacation rentals are an excellent alternative to Barcelona hotels. If you’re making the trip to enjoy the best of Barcelona tourism, you may as well do it right. Sin duda alguna, Barcelona es una de las ciudades europeas que más atraen a los turistas para estancias cortas, fines de semana y recorridos románticos. Un fin de semana como el de Sant Jordi se convierte en un momento ideal para realizar un recorrido con la pareja, puesto que Barcelona ofrece muchísimos sitios para ver y divertirse. Desde las bulliciosas calles, las sofisticadas plazas y los paisajes urbanos diferentes y atractivos, Barcelona simplemente tiene todo para un fin de semana romántico, ya sea para celebrar Sant Jordi, como escapada romántica antes de la boda o como festejo por las bodas de plata. Son muchas las actividades que habrá para este 23 de abril en Barcelona pero, si eres de los que busca escapar de las masas y relajarte junto a tu pareja, en Bizflats te sugerimos estos tres planes increíbles e inolvidables que se escapan de las guías turísticas. Barcelona tiene la fortuna de ser una ciudad portuaria. Su puerto, contenido entre la desembocadura del río Llobregat y la Barceloneta, se abre al mar Mediterráneo y es una metáfora perfecta de la historia y la actualidad de esta cosmopolita ciudad. Quizá esta íntima relación con el agua es lo que hace que uno de los paseos estrella en Barcelona es aquel que se hace en el agua, en las famosas Golondrinas de Barcelona. ¿Qué son las Golondrinas? Son barcos turísticos que funcionan a motor y que en general, realizan travesías no muy extensas que muestran el litoral barcelonés, lo que permite admirar la ciudad desde el mar. Este representativo paseo cuenta ya con una larga historia, pues las primeras golondrinas empezaron a realizarlo en el año de 1888, claro que su motor era a vapor y eran más pequeñas: sólo tenían capacidad para veinte personas. Para aquellos que quieren tener varios puntos de vista diferentes y complementarios de su visita a esta ciudad, estos paseos marítimos representan una excelente alternativa. Para una escapada romántica, es simplemente soberbio, debido a que te da un tiempo para estar en completa paz y tranquilidad con tu pareja, disfrutando a la vez del paisaje urbano y de la paz que ofrece el agua. Las Golondrinas parten de un punto ubicado muy cerca del Mirador de Colón. Los centros de información y taquillas están localizados específicamente en el Portal de la Pau, dentro de la zona del muelle. Se puede elegir realizar dos tipos de recorridos diferentes. El primero es el tradicional y más corto, que nos llevará por el puerto de Barcelona, permitiéndonos admirar todas las instalaciones portuarias, paisajes urbanos que incluyen el Word Trade Center, la Estación Marítima Internacional, los muelles Llevant y Ponent, el Puente de la Porta d’Europa, el puerto pesquero, la Torre del Reloj y la Nueva Bocana. El segundo recorrido es más largo (dura en torno a los noventa minutos), y agrega una nueva embarcación, un catamarán, que permite llegar más lejos, hasta el Fórum Universal de las Culturas 2004, dándonos un paseo aún más profundo, en el que se puede disfrutar al cien por cien de la dicotomía mar-ciudad que nos ofrece Barcelona. Es importante remarcar que a pesar de que en condiciones normales hay salidas diariamente y en diversos horarios, el estado del mar puede afectar esta situación, así que no viene de más consultar antes de ir y también intentar comprar los billetes con al menos una hora de anticipación para evitar quedarnos fuera o tener cualquier contratiempo. Un último dato curioso sobre las Golondrinas: el porqué de su nombre. La idea fue de Feliciana Goñi, su creadora, que les otorgó este nombre en honor al ave que lo porta: la golondrina cubana. Toda la idea desde este recorrido es eminentemente romántica y evoca una visión calmada y pacífica de la ciudad, por lo que resultan ideales para una escapada en pareja. ¿Qué puede ser más romántico que apreciar unas hermosas vistas de 360° de la ciudad de Barcelona? Ya sea al amanecer, al atardecer o en la noche, cuando la ciudad se ilumina gracias a las luces artificiales, el apreciar toda la ciudad desde un solo sitio es la idea perfecta para pasar con alguien a quien apreciamos mucho y obsequiarse mutuamente con un momento de paz y belleza. Un sitio para pasar un momento semejante es sin duda el Mirador del Búnker del Carmel en Barcelona. A pesar de que en las últimas fechas (y sobre todo con su reciente rehabilitación y reapertura) los turistas se acercan un poco más a recorrerlo y visitarlo, sigue siendo una especie de oasis con respecto a otros sitios de la ciudad que siempre están llenos de turistas, de tal forma que permite hacer un rico picnic vespertino en compañía del ser querido. El sitio que recomendamos, el búnker del Carmel, es un recinto histórico puesto que fue construido durante la Guerra Civil como refugio antiaéreo, en la cima del turó de la Rovira, en el centro del barrio del Carmel. La melancolía rodea este emplazamiento puesto que fue construido como protección para los habitantes de Barcelona en el año de 1937. Su intención era netamente la protección, puesto que los bombardeos a la Ciudad Condal perseguían sobre todo el objetivo de asustar e intimidar a la población. Es por ello que se seleccionó este punto alto, en el que los abandonados cañones continuaron vigilando sombría y mudamente la ciudad hasta que fueron retirados en la década de los cincuenta. El búnker continuó ahí, testigo silencioso de los cambios de la ciudad. En cierta etapa albergó barracas cuyos habitantes fueron reubicados y sus precarias viviendas destruidas antes de los Juegos Olímpicos de 1992. A partir de entonces, el sitio fue reclamado por el Patrimonio Histórico Español, convirtiéndose en uno de los miradores por excelencia de esta ciudad. Se pueden apreciar desde ahí el litoral de la ciudad, la diferencia en el trazo de los barrios de la ciudad (el contraste entre el Eixample y el Carmel, la geometría y la historia…), la Torre Agbar, la Sagrada Familia, el puerto. El hecho de poder hacer un giro completo y apreciar toda la ciudad en su totalidad, hace de este sitio un emplazamiento irresistible para cualquier apasionado de la fotografía o simplemente para quien quiera que desee realmente fascinarse con el paisaje urbano de Barcelona. La guinda del pastel sería sin duda, como ya comentábamos, hacer un pequeño picnic al atardecer. Llevar algo sencillo para comer y beber, un mantelito o manta y observar la caída del sol dándonos la mano con nuestra pareja: un momento imbatible de un fin de semana en Barcelona. Cómo llegar al Búnker del Carmel: Para llegar en transporte público lo preferible es tomar el autobús porque desde las paradas más cercanas del metro se tiene que hacer una pequeña caminata de alrededor de dos kilómetros. Como líneas de autobús pueden cogerse la 24, la 92, la 119 y la V7. De noche, puede seleccionarse entre la N4 y la N5. En cuanto a la llegada en vehículo privado, si se busca bien la ruta de antemano, veremos que hay mucho sitio para aparcar en las cercanías, así que no representa ningún problema. Nuestra propuesta es pasear por un hermoso jardín: el parque del Laberinto de Horta. Este hermoso parque tiene un diseño clásico, quizás debido a que es el más antiguo de Barcelona, y por fortuna para los enamorados, uno de los menos frecuentados por los turistas. Normalmente la entrada cuesta dos euros, pero los miércoles y los domingos la entrada es gratuita. Este parque se ubica en una antigua finca, la de la familia Desvalls, próxima a la localización de la sierra de Collserola, y su punto fuerte son sin duda el jardín del siglo XVIII, en estilo neoclásico, y el jardín del siglo XIX, en un estilo romántico. La disposición del parque es muy especial: en tres terrazas a la forma de grandes escalones, con un gran contenedor de agua en la parte superior que sirve como reserva de agua para el riego. En el medio, hay una preciosa zona dispuesta con cúpulas y columnas de tipo toscano. En la parte más baja, está el laberinto que da el nombre al parque y que se ha convertido en el principal atractivo del jardín. Desde la entrada se puede observar y disfrutar la arquitectura de la casa del dueño y su familia, el marqués de Llupià i Alfarràs. Este hermoso espacio incluso ha sido elegido para el rodaje de distintas cintas y videos, por su mágica disposición laberíntica. 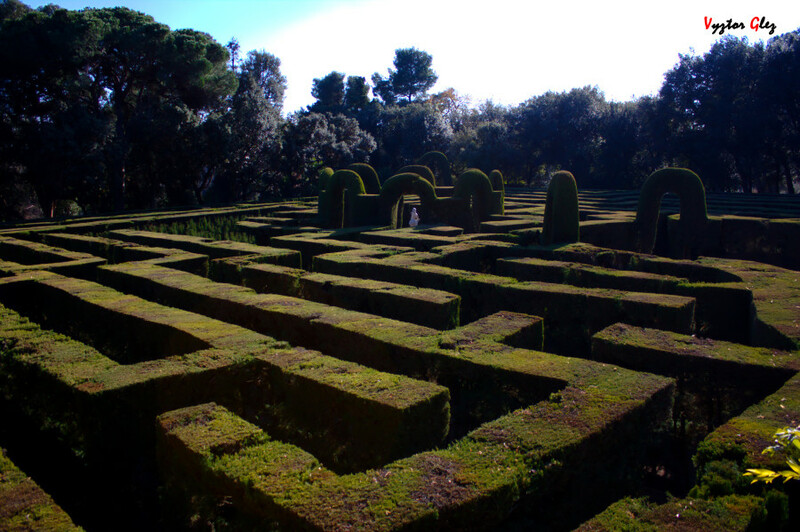 Pero el jardín es más que el laberinto. También cuenta con más de veinte distintos detalles acuáticos, desde estanques y fuentes hasta albercas y cascadas, pasando por canales y riachuelos, que no sólo embellecen el espacio y le otorgan una sonoridad especial, sino que permiten el desarrollo de numerosas especies vegetales. Además, todas estas fuentes y estanques, cuya agua se mantiene sin clorar, permiten la protección de especies anfibias (sapos, ranas verdes, reinetas), que se conservan en espacios separados a los peces, para que todas las especies disfruten de suficiente espacio y se encuentren a gusto. El número de visitantes a la vez se limita a setecientas cincuenta personas, lo que permite disfrutar de este espacio verde en completa paz y tranquilidad. Detalle romántico: al recorrer todo el laberinto y llegar hasta el centro, podemos apreciar una estatua de Eros, el dios griego del amor… ¿podemos encontrar una forma más simbólica de concluir un fin de semana romántico en esta hermosa ciudad? Además, independientemente del laberinto, el parque cuenta con otras áreas muy interesantes, como el parque temático que servía en sus tiempos para entretener a los invitados de la realeza y nobles que se daban cita en lo que en la época era un sitio alejado del centro de Barcelona. Como toque final, hay un canal para enamorados con pequeñas barquitas y cisnes, desde la cual se puede llegar a la sala de té que sólo funciona en verano. El parque se encuentra en excelentes condiciones y representa un oasis de tranquilidad respecto al tumulto turístico que suele recorrer los sitios “bandera” del paisaje urbano de Barcelona. Estos tres rincones de la geografía de nuestra ciudad ofrecen un espacio de paz, relajación e intimidad a las parejas para celebrar un día tan especial como Sant Jordi. Al seleccionar un apartamento de alquiler turístico en Barcelona, podrás disfrutar de estos tres hermosos lugares y muchos más, además de llenarte de la vitalidad, paz y romanticismo que emana de las calles de Barcelona para estas fechas. An old Roman city from the Middle Ages later to be filled with the wonders of the famous Spanish architect Antoni Gaudi, and now one of the world’s most famous beach cities, Barcelona, Spain is worth visiting for a myriad of reasons. Whether you’re a history buff who loves exploring old gothic quarters, a spiritual visionary in search of some of the world’s most notable religious sites, or a beach bum looking for a nice bar to sidle up to by the sand, Barcelona is a destination you ought to visit. The city is also home to numerous luxury short term rentals that will make your visit more convenient, cost-effective and homey, giving you a wonderful retreat from the bustling city. While there are more Barcena, Spain points of interest than can be mentioned here, these are just a few things you definitely want to check out while you’re visiting. Get the facts about Barcelona, Spain before you arrive! This is one of Gaudi’s beautiful masterpieces, and also one of the last civil projects he completed before his death. There are numerous things to see at La Pedrera, including a historical overview of Gaudi’s works, an apartment depicting the life of a bourgeois family, as well as the famously picturesque rooftop covered in architectural sculptures. This tribute to the explorer, Christopher Columbus, dates back to 1888. It was built by Queen Isabella and King Ferdinand for the Universal Exposition (what would today be known as the World’s Fair) in honor of Columbus’ exploration achievements. This park in the center of Barcelona is a wonderful place for picnics and walks. A lake with a baroque fountain in its midst is a highlight of this urban green space that was once a military citadel. This market housed in a glass and steel structure along Las Ramblas street is full of delicious local treats, and a great place to take pictures of all its colorful foods. The market was built in 1840, but before the structure was erected the same space was said to have been used as a market since medieval times. Dating back to the medieval period when Barcelona was at the center of the Mediterranean’s’s maritime trade, Port Vell has a rich history. In more modern history it gained a reputation for being a seedy neighborhood but in recent years, with the Olympic games civil projects, it has been revamped into a wonderful tourist attraction. It is home to Europe’s largest seawater aquarium, an IMAX theater, the Maremagnum Shopping Mall, and wonderful ocean views. This gorgeous arc was also built for the Universal Exposition of 1888. The Exposition was held in the Parc de la Ciutadella, with the arc serving as the main entrance to the promenade. A Roman Catholic Church and minor basilica located at the summit of Mount Tibidabo offers another beautiful church to visit as well as a fantastic view. At the forefront of Barcelona, Spain’s colleges and universities is the University of Barcelona, located in the heart of the city, near to the Teatre Coliseum and the Museu del Modernisme de Barcelona. Exploring the campus is a fantastic opportunity to experience a historic Barcelona landmark. Situated at the summit of Montjuïc, the Joan Miró Museum of Barcelona is a modern art museum honoring Joan Miró. A trip to this ancient city would be incomplete without a visit to at least one of these Barcelona, Spain points of interest. Explore this city’s vast history, culture and ascetic beauty from your home base at a great short term rental in the heart of Barcelona. 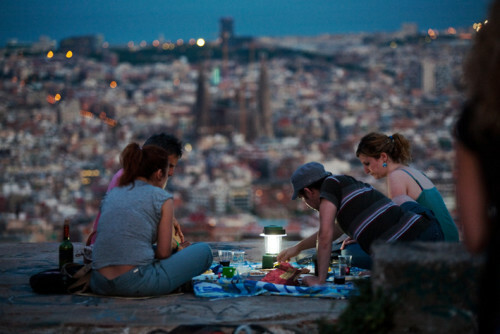 If you’re making the trip to enjoy the best of Barcelona tourism, you may as well do it right. La Sagrada Familia Basilica was designed in part by the famous Catalan architect, Antoni Gaudi, with construction beginning in 1882. 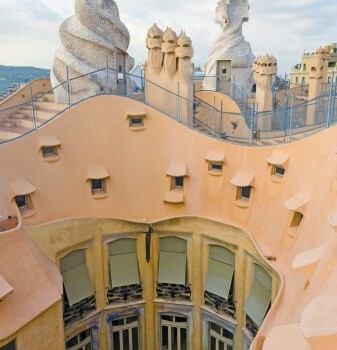 The next year Gaudi took the project over completely to see that his vision was fulfilled by the best means possible. He was in charge of it until his death in 1926, having completed less than a quarter of the building. The construction progressed slowly, waiting on private donations to continue, and was derailed completely by the Spanish Civil War. In the 1950s the gradual building began again, and the half-way mark was recently reached in 2010. The Basilica is projected to be completely finished by 2026, and has been expedited with the use of computer modeling and other new technologies. Since Gaudi’s death the construction has been a point of contention among Catalan people who wonder if the original vision is being carried out or not. Nevertheless, the project goes on. La Sagrada Familia’s completion date is expected to be 2026, the 100-year anniversary of Gaudi’s death. A mix between Spanish Late Gothic, Catalan Modernism and a Art Nouveau styles, La Sagrada Familia Basilica was the dream of a bookseller who returned from the Vatican inspired to build a Gothic revival church. Gaudi greatly influenced the design when he took over the project, being inspired mostly by nature. Though it was never intended to be a cathedral, it was planned to be that size, and can now accommodate 9,000 people. When completed it will have eighteen spires representing Twelve Apostles, the Virgin Mary and the four Evangelists. Gaudi’s Cathedral has three facades: the east-facing Nativity, the west-facing Passion, and the south-facing Glory. There are multiple ticket types available for purchase online and at the box office. You can choose whether to take a guided tour, an audio tour, or just enter and show yourself around. Visitors can also choose to explore more of La Sagrada Familia Basilica like the House Museum or towers. Group tours are also available. Of the things to see are the museum, exhibitions, galleries and also the occasional live music event. The Basilica is always a place for prayer and worship, and mass times are posted on the website. 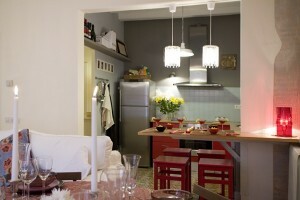 For those visiting the city, bizFlats offers diverse options for short term rental properties throughout Barcelona. These comfortable and modern flats are a great and affordable option, whether you’re traveling for business, or coming to town for a family vacation. With your own kitchen and entertainment systems, you’ll feel right at home in one of these spots, and will have easy access to famous sites around town like La Sagrada Familia Basilica. There are few experiences around Barcelona that embrace the history of Catalan culture like a trip to La Sagrada Familia Basilica. No matter the reason for your trip to Barcelona, you definitely want to at least take a walk past this truly spectacular site. Barcelona is a bustling international city whose heart beats for business and tourism alike. As a local short-term rental company we cater to both corporate and private clients, offering a variety of luxury flats throughout the city. Whether you’re looking for a place conveniently located in the heart of downtown on your business trip to Barcelona, or a spot on the beach for the much-needed vacation, you’ll find a great variety of the best places to stay in Barcelona through bizFlats. We offer everything from classic beach villas to trendy converted lofts. These short-term rentals come with great amenities including television, internet access and laundry facilities. Check out some of these different accommodation styles among the best places to stay in Barcelona. This spacious loft is the epitome of luxury. With avant-garde design and decor you’ll get a sense for modern Barcenlona. This great flat is located in the midst of Eixample, the modern neighborhood of Barcelona known for its architecture, shopping and close proximity to the famous Placa Catalunya. The loft is available for monthly rentals and comes equipped with WiFi, a modern kitchen, gorgeous views and natural light all day. Just 25 minutes from the heart of Barcelona lies the village of Stiges, which is a favorite weekend destination for city slickers looking to simplify things for a few days. Located in a smart residential neighborhood you’ll find two neighboring villas with sweeping sea views, infinity pools and amazing modern architecture. These two gems are built into a mountain whose rock is exposed for interesting and unique design elements. Both places have state-or-the-art kitchens and a variety of sleeping arrangements available for a romantic getaway or a family vacation. These dreamy accommodations are less than 10 minutes from the beach. We offer a variety of beach properties right downtown. Our Boutique apartment is on Rampla Poblenou and a quick walk to beach. This three bedroom apartment is beautifully decorated with designer furniture. 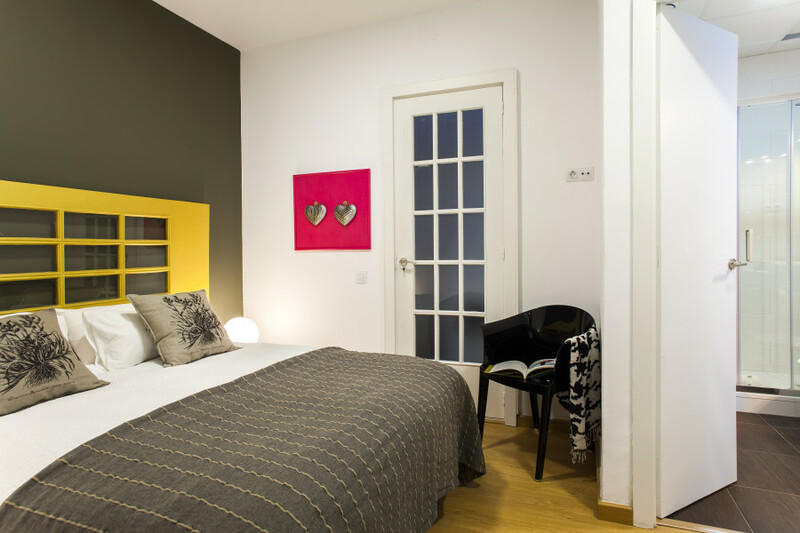 The main bedroom includes a full en suite bathroom as well a balcony overlooking La Rambla. The Colonial apartment is just a one minute walk from the port area of downtown. This modern luxury apartment is located in an Gothic building in the Gothic quarter known for its enchanting medieval streets. The romantic CupCake apartment is located very close to both La Rambla and the beach, making it a prime location for a getaway. This comfortable accommodation is known for its natural light and beautiful eat-in kitchen. If you’re planning a trip to Barcelona be sure to check out the variety of bizFlats accommodations right downtown and in the greater Barcelona area. 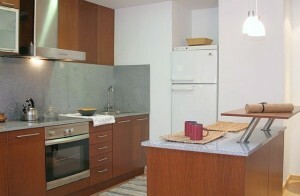 Whether for business or pleasure your trip will be complete in one of our great Barcelona flats. We can even help you book suitable transportation to your accommodations here in Barcelona if you fill out this simple form. We have a reputation for providing some of the best places to stay in Barcelona, and we are sure you’ll find what you’re looking for and enjoy ever minute of your stay in our beautiful city. On 21st November Barcelona welcomed the holiday season by switching on the Christmas lights, filling the streets with joy and color. This 4th December The Shopping Night Barcelona will officially open the Christmas Shopping season. Barcelona is considered to be one of those places you must visit at least once. Regardless your age and what your interests are, you will most definitely be able to find something in Barcelona that will make you fall in love with this place and have the time of your life while there. Now imagine visiting Barcelona for Christmas! Some will enjoy the magnificent architecture, art and museums. Some will love the Christmas lighting and they will spend most of their time strolling all over the city. And yet, there are those who will love Christmas shopping in Barcelona. In the US, Black Friday is considered the beginning of the Christmas shopping season and since a couple of years Barcelona has adopted this date, which corresponds to the day following Thanksgiving Day, which this year falls on Friday 28 November. Many large stores in the city now celebrates Black Friday, offering huge discounts. 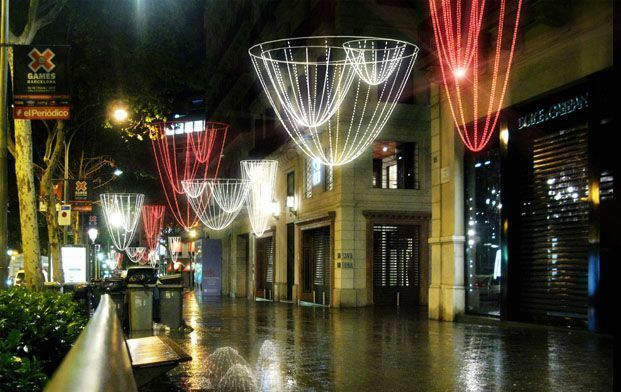 However, The Shopping Night Barcelona is the event that officially opens the Christmas shopping season in Barcelona. One of the best moments to go shopping in Barcelona is during TSNB, which is going to be held on the 4th of December, 2014, between eight in the evening and one hour after midnight. Passeig de Gracia will be the location where the event is going to be held, like the previous years. Not only is Passeig de Gracia one of the most important avenues in Barcelona, but it is also a major shopping and business area of the city. It also has some of the most exclusive stores. Most tourists visit Passeig de Gracia, as notable landmarks such as Antoni Gaudí’s Casa Batlló and Casa Milà, also known as “La Pedrera” are located in this street. Furthemore, Casa Bonaventura Ferrer by Pere Falqués i Urpí and Casa Lleó Morera by Lluís Domènech i Montaner are also located in this Barcelona’s avenue. During the event, the avenue is closed for traffic, so visitors of the shopping night will get a unique opportunity to walk along a busy street of Barcelona, without any vehicles in sight. It is estimated that over 25,000 people participated in the last year’s event, and this number is expected to be exceeded this year. The main idea behind the fifth Shopping Night Barcelona is to present the lifestyle of Barcelona, its culture, food and tradition. Besides the promotions, organizers expect the event to influence city’s economy, by boosting sales during the event. The festive atmosphere will be visible, through sparkly decorations, red carpets and cordial atmosphere, as the organizer want to create a memorable event for all of those who love fashion and shopping. In addition, the stores will offer limited edition sales, which might feature some exclusive items of clothing and footwear, which is a perfect opportunity to purchase certain items. 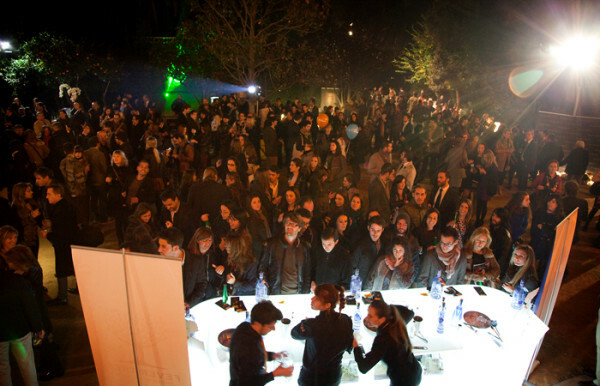 The restaurants in the close vicinity of the event will also make sure that you have a great time during this event. They will participate by providing live music performances, menu tastings and enjoyable atmosphere for all the visitors. All of this combined creates an eventful night full of friendly and festive atmosphere, which is a perfect way to spend an evening out, especially if you are a tourist and you want to experience true magic of the city of Barcelona. 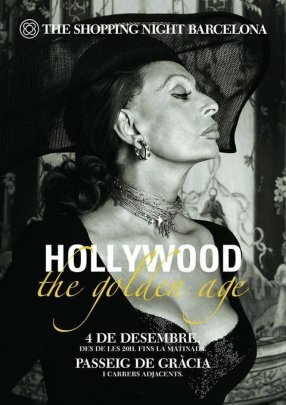 The theme of this Shopping Night Barcelona is the Golden Age of Hollywood. The heyday of American film industry will be stressed out throughout the event, as well as through the exhibitions and presentations of the great stars that marked the golden era of film history. Let’s go shopping with glam! If you need accommodation for these holidays, don’t miss our Dandi apartment just two blocks away from Passeig de Gràcia. El tejano (o jeans) ha sido desde su creación el tejido casual por excelencia. Los pantalones tejanos, específicamente, han pasado de ser una prenda de faena a formar parte de nuestra vida diaria. Tanto si se va a la universidad como si asistimos a una reunión de negocios, un pantalón jeans nos saca de cualquier aprieto. La industria textil lo ha visto claramente y ha dedicado un salón exclusivo para su promoción y comercialización: DENIM by Premier Vision. El pasado mes de mayo, la edición #14 del salón se celebró por primera vez en Barcelona, una ciudad considerada de las más “trendies” de Europa. Hoy la edición de otoño abre sus puertas en Fira Montjüic y espera superar los 4,000 visitantes. 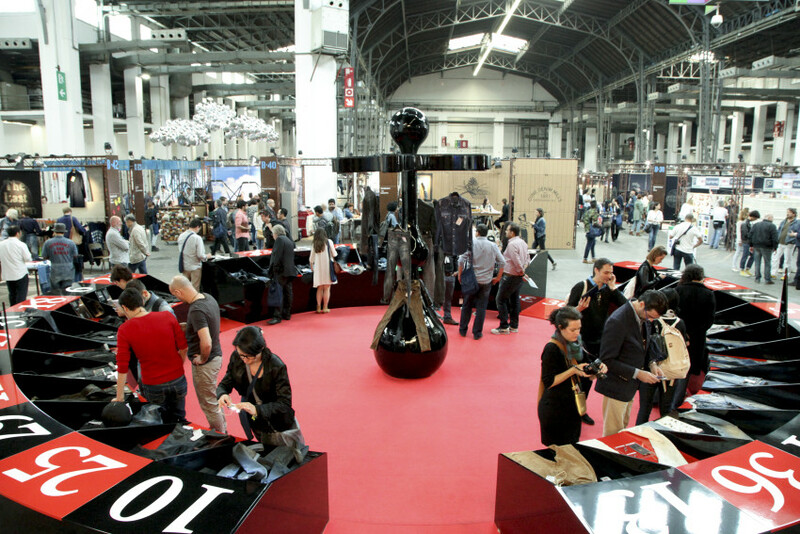 El salón es organizado por Premier Visión, uno de los shows más importantes sobre moda y tendencias que se celebra dos veces al año en Paris, y organizador además de importantes salones de moda en Istambul, Shanghai, Nueva York y Sao Paulo. Denim by Première Vision es sin duda el evento que engloba toda la cadena de producción del tejido denim, desde el diseño del tejido hasta la confección de las prendas. Más de 100 expositores provenientes de todo el mundo estarán exhibiendo sus productos. Los visitantes podrán ver de primera mano las últimas tendencias en producción, lavados, terminaciones y accesorios. Desde el tejido a utilizarse hasta un botón, serán tendencias a explorar para esta temporada de Primavera/Verano 2016. Ya seas diseñador, coolhunter, fabricante o distribuidor textil, GANGS OF DENIM Barcelona es el “place to be”. Buscando apartamento para alargar tu visita en Barcelona? Tenemos apartamentos disponibles desde 69€ por noche. Reserva YA!